THE FUNDAMENTALS OF FERRONIOBIUM - NioCorp Developments Ltd.
By Mark A. Smith, P.E., Esq. The technology and market fundamentals of ferroniobium, a critical and strategic material vital to many defense and civilian applications, are increasingly compelling to producers, consumers, and government policymakers. This extraordinary and highly versatile superalloy material, which NioCorp plans to produce at its proposed southeast-Nebraska-based Elk Creek Project, is increasingly in the global spotlight. Ferroniobium, an alloy of about 65% niobium and 35% iron, is predominantly used as a microalloying agent in High-Strength, Low-Alloy (“HSLA”) steel. The addition of as little as one pound of ferroniobium in one ton of low-carbon steel facilitates grain refinement and precipitation hardening. Those changes greatly increase strength, fatigue resistance, and weldability of the steel. Niobium delivers these benefits to the highest extent among all steel microalloying elements. The relative demand inelasticity of niobium. On the supply side, commercially significant quantities of ferroniobium are produced in only two nations today: Brazil and Canada. In Brazil, two mines collectively produce over 90% of all niobium materials. A single mine in Canada produces most of the rest. While Brazil can increase its production capacity, and its leading producer has announced plans to do so in the wake of steadily increasing global demand for ferroniobium, the relative lack of geographic diversity in ferroniobium production does add a measure of supply risk for ferroniobium consumers. That is why I believe that the addition of NioCorp’s ferroniobium production in the U.S., equivalent to only about 6% of current global production, will be well received by ferroniobium consumers. On the demand side, virtually all independent market analysts see significant demand growth for ferroniobium, in the range of 2% – 6% compound annual growth rates. This growth may be especially pronounced in China, which has no significant niobium deposits. As market analyst Roskill has noted,1 consumption of ferroniobium in China is rising both because of increased use of HSLA steels and because of the increasing intensity of ferroniobium content per ton in these steels. 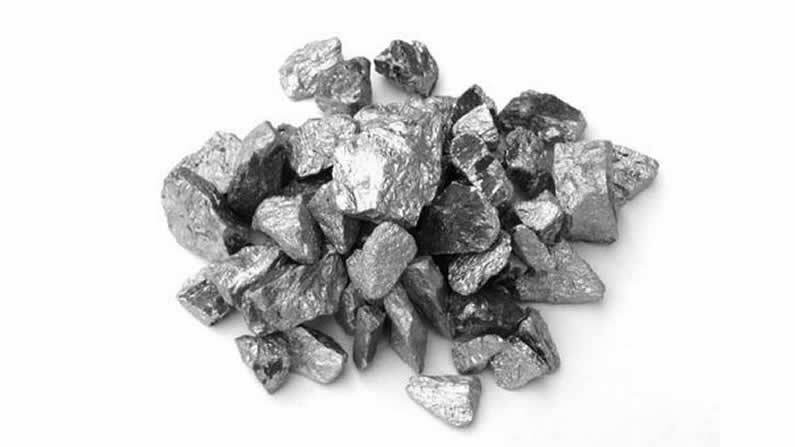 Demand growth also is evident for other forms of niobium products, such as niobium metal and oxide products incorporated in superalloys, electronics, superconductive systems, clean energy applications such as solid oxide fuel cells, renewable energy systems, medical applications, and many others. Niobium market leader CBMM continues to drive innovation across the spectra of applications that can utilize niobium. Finally, as Roskill notes,1 ferroniobium exhibits demand inelasticity. This refers to the fact that demand tends to remain stable even as prices rise, at least to a degree. For example, the slump in demand for ferroniobium in the global steel industry following the 2009 global economic downturn had only a minimal impact on ferroniobium pricing. This makes sense given the fact that, while ferroniobium represents a minor component of total cost in HSLA steel, its use confers major performance and cost benefits to steel producers and their customers. How do these factors influence ferroniobium pricing? While ferroniobium does not experience the pricing volatility of other commodities, pricing does move up and down, albeit typically within a relatively narrow pricing band. According to Roskill,1 ferroniobium hovered at levels above USD $40 per kilogram ($/kg), on a contained niobium basis, from 2011 to 2015. Prices softened into the $30s in 2016-2017, largely because of the impact of a stronger U.S. dollar. However, pricing has rallied over the past nine months. Argus Metals, which tracks pricing for ferroniobium and a variety of other metals and alloys, recently reported that U.S. warehouse pricing of ferroniobium rose last week to a near-10-year high of USD $45.00 – $46.60 per kilogram.2 That pricing range represents a 36% increase from the 2018’s lowest average monthly price of USD $34.17/kg. In my view, the fundamentals of ferroniobium coalesce to form an exciting and potentially robust future for this critical and strategic material. That is one reason why NioCorp is working to bring its planned Elk Creek Superalloy Materials Project online in southeast Nebraska. Once financed, constructed, commissioned, and put into commercial operation, this facility promises to increase the diversity of global ferroniobium supply. That should be good for producers and customers alike.